Our most recent war was a big success with every enemy base getting 2- or 3-starred. :) It was cool seeing that top to bottom. But the more important result was that we had 59/60 attacks! We are improving, and that makes me very happy (although it would have been nice to have that last attack in). I did kick a player who did both attacks and failed to net any stars. Anyone can fail in a given war, but this particular person hadn’t fared well in any war that I had seen. If you’re thinking, “Well at least he’s trying hard,” then I have to kind of disagree with you. Sure, he (or she?) did both attacks, but when someone is not raiding even ONCE in a 2-week league season, that tells me they are not trying to be better at the game…and they probably never will be. So that was my rationale for that. There are also one or two people who are on a short leash due to their lackluster clan war performance…especially when they only have one attack more often than not. Anyhow, I’d like to share with you guys some basic tips for warring. Most of this is very obvious, but I’m sure it will still be useful to get on the same page. – VERY IMPORTANT: For your first attack, please try to attack a base that is relatively close to your rank. Sure, you can move up or down a few spots to find a base better suited for your troop composition, but I’m seeing too many people dropping 10 ranks down to take out easier bases. Not only do they still fail to 3-star sometimes, but this boxes in the lower level players who now have fewer options to attack. Every time you take a lower base, you’re forcing someone else to reach higher, and that’s not fair (or strategic as a clan). – Always have your heroes and all your spells prepared for each attack. 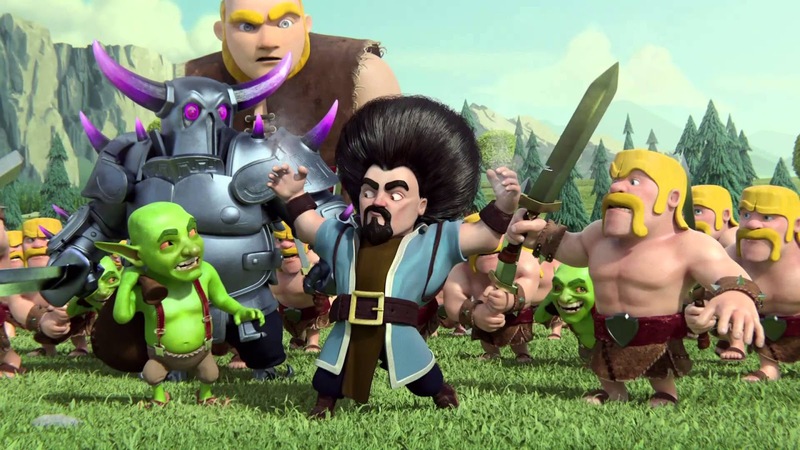 Fill your clan castle for that extra oomph for your attack. Fairly obvious, but it’s worth reminding people. If you’ve pressed Attack and realize that you don’t have all your spells (or heroes), you can still quit without penalty IF you haven’t dropped anything yet. – Scout, scout, scout. You should have an idea of which bases you want to attack, then formulate a plan on how you will execute that attack. You might even alter your army to handle little quirks of a base, though I suggest not straying too far from your comfort zone. – If at all possible, lure the enemy’s clan castle troops first (unless you’re using a high powered army that doesn’t necessarily call for this step). I still can’t believe some people just go head-on into a base with giants and get wiped out by clan castle wizards. Does that still surprise you at this point? – DO BOTH OF YOUR ATTACKS! PLEASE, I BEG YOU. (lol) It helps the clan, and even when it doesn’t alter the outcome, you get war loot, stars for your achievements/profile, and you make everyone happy with the turnout. – Watch replays. A lot of them if you can. Not only will you learn how to attack (and how not to attack), but you will also learn trap placement and CC troop composition if you’re planning on attacking that base for more stars. – Fairly obvious, but don’t attack an already-3-starred base…unless the outcome is already decided and you’re just going for loot. But it’s best to ask before you do that. Otherwise, people will just be scratching their heads or upset with you. – If you’re going to attack a 2-starred base, be fairly certain you can 3-star it if you’re trying to net a star. Otherwise, you’re just wasting an attack. Try to scope out a higher base first, but if you can only one-star a stronger base but definitely three-star the lower base, go for the 3-star. One starring a base that is not near the top generally means someone will have to re-attack it anyway. – And this is kind of not a strategy thing but a personal note: During clan wars, you can ask for anything when you are about to attack. You can be really specific about levels, numbers, you name it. But on daily farming days, don’t be so picky please. You’re only hindering people’s ability to donate to you and making the clan feel less active (and wasting people’s resources and time for something you don’t really need). I hope some of this was helpful to you guys. Obviously, we welcome feedback and suggestions, but this is just a general guideline so that we’re all on the same page. :) Happy clashing, and let’s keep up our new win streak!